The Hydraulic Plant produces hydraulic cylinders, pipes, and pins. 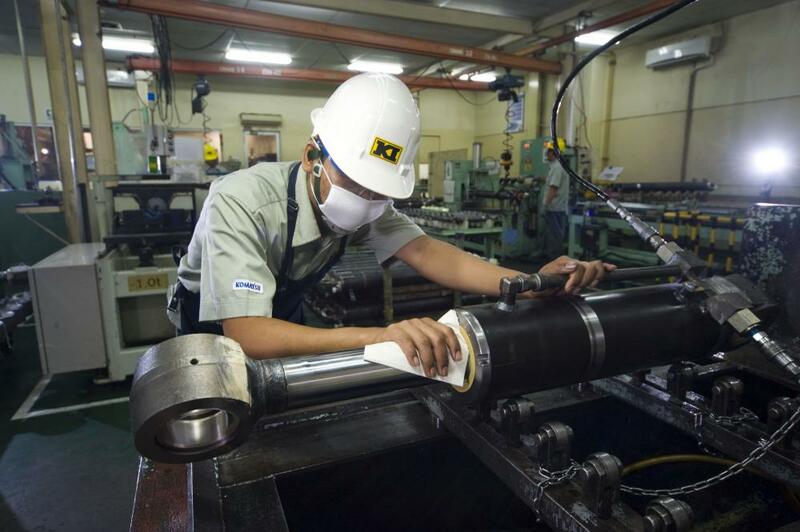 For hydraulic cylinders and pipes, the maximum capacities of production for each are 5000 pieces/month. The hydraulic cylinder products for mini and midi excavator cylinders are provided to KUE (Komatsu Utility Europe), and KSD (Komatsu Shandong Construction). Then, the products for HD465 & HD785 are provided to KIPL (Komatsu India Private Limited). Furthermore, the products for PC130, D68ESS, and D85ESS are used for internal supplies. Hydraulic Plant also uses up-to-date machines to support the work. There are skiving roller burnishes to get mirror surfaces of the component.